Here at Benk+Bo Yoga and Fitness Studio, we also offer private classes, for both personal and corporate clients. We are very proud to be able to custom curate the perfect class for your group, office or department. 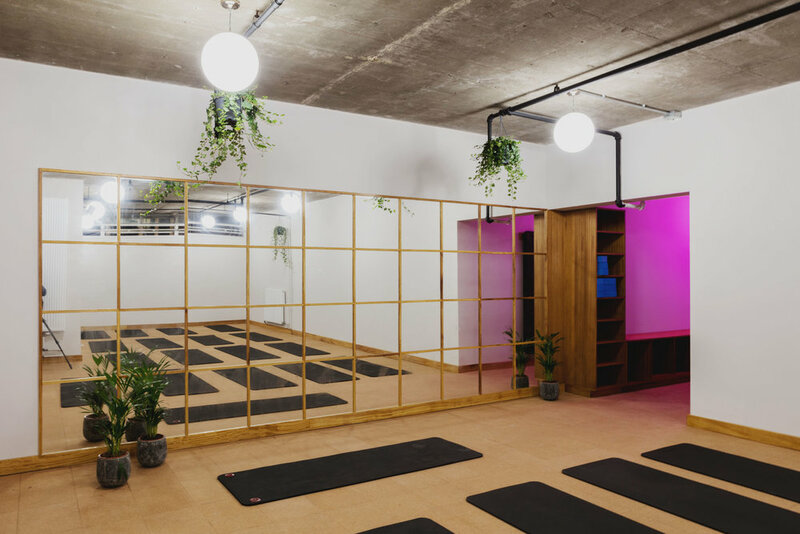 We provide a very wide menu of classes, from anti- desk or Forrest Yoga, to Lunchtime Meditation and also Open Flow, High Intensity or Pilates. If there are any other forms of exercise you would be keen to try out, give us a shout and we will do our best to find the best teacher for your class. Our studio is perfect for a group between 10 - 25 participants, we got a shower, two changing rooms, two kinds of mats, blocks, SONOS sound system and Philips Hue lighting system to set any ambiance in the room. We would also be able to provide pre- or post snacks, smoothies, salads or coffees for your Private Class, please let us know your requirements below and we will get back to you with a quote. How long would you like the class to last? Would you like to include any catering, like superfood smoothies, salad boxes, energy balls or coffees?